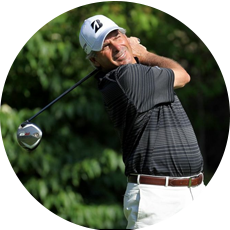 On Sunday at the 1992 Masters, Fred Couples anxiously watched his tee shot on the 12th hole. Playing in the final group, he saw his shot come up short on Augusta National’s 155-yard par 3 – perhaps the most famous par 3 in the world. The ball landed on the bank of the green, slowly trickled down the hill, but didn’t roll into Rae’s Creek. Many times before and after, that ball would have found a watery grave, but Couples got lucky. Couples, then 32, made par on that hole. 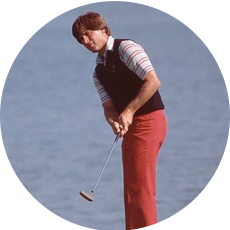 The fortuitous break paved the way for a two-stroke victory over Raymond Floyd – and Couples’ only major championship. Nicknamed “Boom Boom” for his powerful swing and long drives, Couples became one of the game’s most recognizable players. He also won two PLAYERS championships, prevailing at TPC Sawgrass in 1984 and 1996. In 1984, the 24-year-old Couples shot a second-round 64, then a course record, en route to capturing the title by one stroke over Lee Trevino. In 1996, Couples was four strokes off the lead entering the final round, but fired another 64 to win another PLAYERS. Couples pulled off a classic shot on the 16th, the risk-reward par 5 with a lake guarding the entire left side of the green and much of the fairway. He used that famous swing to hit a 2-iron from 220 yards out that just cleared the water and stopped 25 feet from the flagstick. Couples calmly sank the eagle putt to take a one-stroke lead. Then, on the par-3 17th, Sawgrass’ signature island-green hole, Couples found dry land and made a 30-foot birdie putt. A player with a flair for the dramatic, Couples has fond memories of the Sawgrass’ 17th. He made a hole-in-one there in the final round of the 1997 PLAYERS. In 1999, he hit his first shot into the water. Couples, a good friend of Michael Jordan, re-teed the ball and hit his third shot directly into the bottom of the cup – a slam dunk par if there ever was one! 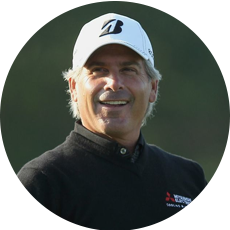 Fred Couples holds the course record of 63 (along with fellow Hall of Fame member Greg Norman) for the TPC Sawgrass Stadium Course. Couples was born on Oct. 3, 1959, in Seattle, Wash. His family lived in a modest house on Beacon Hill near the city’s Jefferson Park golf course, where Couples developed his signature rhythmic, picturesque swing. His long shoulder turn helped him to become one of the game’s best drivers. Couples earned a golf scholarship at the University of Houston. As a member of the Cougars’ golf team, he roomed with future PGA TOUR player Blaine McCallister and Nantz. Couples turned professional in 1980 and became a dominant force in the early 1990s, winning both PGA TOUR Player of the Year and the Vardon Trophy, awarded for lowest scoring average, in 1991 and 1992. His resume includes 15 PGA TOUR wins and more than $22 million in career earnings. A fixture for the United States in international team competitions, Couples played on five Ryder Cup teams and four Presidents Cup teams. He scored 3 ½ points for the United States in its dramatic, 14 ½-13 ½ win against Europe in the 1991 Ryder Cup at Kiawah Island. Couples played for the U.S. on the inaugural Presidents Cup in 1994, and won all three of his matches as the Americans beat the International team, 20-12. He captained the winning Presidents Cup teams in 2009 and 2011, and will once again lead the Americans at the 2013 President Cup, at Muirfield Village Golf Club. Despite back problems throughout his career, Couples has played at a very high level. Since turning 50 in 2009, he has won eight times on the Champions Tour, including the 2012 Senior British Open Championship at Turnberry. Couples stands as one of the game’s unique characters, a player whose enviable swing and easy smile carried him to the game’s highest levels.